Another quarter of the year has passed, which means it’s time for me to share a thrift selling update, including what worked and what sold this winter. The past few months have been full of ups and downs for me on the thrifting front. On the downside, I haven’t spent as much time as I’ve wanted to dedicate to selling due to other life events. But that’s what’s great about selling! You can do it on your terms. Ramp up your business when you have the time and slow it down when you don’t. On the upside, I’ve been making steady sales despite having a small closet. I hover around only 50 listings available at one time. Lululemon is a hot seller! I’m always on the lookout for this brand in both men’s and women’s clothes. Bottoms like shorts and workout pants sell better than tops for me. Nice sports bras and gym bags are sure sellers if you can find them. Even mall brands like H&M and Victoria Secret can make you money depending on what you sell. I found the above H&M dress for only $5 brand new! I actually bought it for myself, but I'm always thinking about selling stuff so I couldn't resist putting it up for sale. 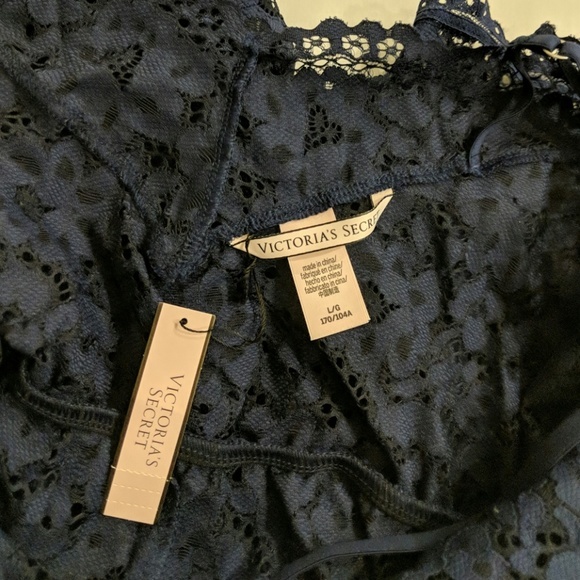 You can also find tons of Victoria Secret items new and used on Poshmark and eBay. I usually pass up this brand when sourcing because it doesn't resell for very much. If you can get VS items cheap and/or new, it might be worth selling. I tend to stay away from selling vintage items because that’s not an area I know well. The David Hayes dress was too pretty and too good a deal to pass up. Sometimes it pays to branch out and try selling other brands and styles. The Stella McCartney chemise is from TJ Maxx. Don’t forget that discount shops like Marshalls and Nordstrom Rack are good places to source items. At discount shops, you know that the items are new and authentic, which is not always the case when shopping thrift stores. If you like what you see and want to give selling a try, join the Closet to Cash online listing challenge. It’s seven days dedicated to listing your items to make sales, because sales = moolah for you! If you’re already a seller, this is a great chance to relist things that aren’t selling or try selling on a new platform. You can also learn how I do it in the ebook How to Thrift Shop Like a Pro: Your Guide to Finding Thrifting Gold. It has all my tips and tricks to find the best items like you see here! With spring here and summer on the way, these are some hot items to sell right now. Beach & resort wear - Anything that people use for vacation and summer fun like sundresses, swimwear, sunglasses, and sandals. My favorite brand to sell is Lilly Pulitzer. It sells like hotcakes! Tropical and fruit prints - Similar to vacation wear above, tropical and fruit prints are everywhere right now. I’ve seen clothes with lemon and pineapple prints in several stores. Vacation items - Travel accessories are popular. Think phone holders, packing cubes, and power adapters and converters for international travel. Prom dresses - April and May are prime prom season. I’ve already seen prom dresses in the department stores and more coming across my Poshmark feed. Wedding attire - Spring is the start of wedding season. Wedding attire and accessories can be pricey for the bride and attendees, which is why people will look for items second-hand. Try listing bridal items such as jewelry, sashes, rehearsal dresses, wedding shoes, and bride-to-be clothing. Athletic wear - Athleisure wear is trending right now. Young women want to work out yet still look fashionable. I like to sell brands like Lululemon, ALO Yoga, Beyond Yoga, and Athleta. I’m hosting two Poshmark parties! For a little background, Poshmark parties are held on the app four times a day. Users share their and other people’s listings to the parties based on the party’s theme (e.g., date night, workwear, Coach, Michael Kors). Hosts then select items best fitting the party’s theme for special showing. I’ll be hosting one party June and one in July. While they’re a while away, I’m pretty excited because hosting is a great way to publicize your closet. You can choose a few of your items as host picks. Your profile is also shown presented at the top of the party page for more people to view. I’ll talk more about hosting as the time gets closer so you can share with me your closets and recommendations. How have you been doing selling this winter? Any surprise sales? What are you looking to sell this spring?